Welcome to SRR Aqua Systems, Manufacturer and Supplier of Water Treatment and Swimming Pool Equipment. The company was established in the year 1994. Our products are at par with international standards and we have well established network of dealers. Ethical business practices, Regular R and D conducted and Team of qualified professionals are some of the key factors behind our success. We offer a splendid range of Swimming Pool Filters, Competition Pool Equipment and Toddler Pool Recreation Items. Our Swimming Pool Filters are extremely reliable. 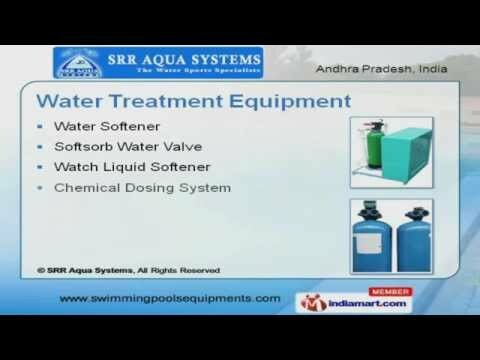 Water Treatment Equipments offered by us are acknowledged for their functionality. We also provide Swimming Pools that are designed specifically to produce high functionality and exhibit style. We have gained tremendous expertise in providing Competition Pool Equipments that are a class apart. We are known in the industry as the manufacturer of LED Lightings that are available at industry leading prices.